I was raised in an environment that nurtured creativity—in both Austin, Texas, and Peru—and it was my grandmother’s abstract expressionist paintings and her 50’s modern furniture that initially inspired my interest in the midcentury style. Prior to founding Hip Haven, I had careers in both the design and development of children’s museum exhibitions, as well as in commercial interior design consultation and sales. These professional experiences, combined with my enthusiasm for midcentury modern design, have given me the tools and motivation to pursue the creation of my own product line: and fourteen years later, the line is still going strong. How would you describe your "signature decor style"? I would say that my signature decor style is a combination of classic midcentury modern furniture and accessories, vintage ceramics, fine art from the 1950’s through 1970’s (much of it painted by my grandmother) and folk art from all eras and regions. What prompted your decision to open Hip Haven? With a background in museum exhibit design, followed by several years in sales to the design trade, I felt comfortable in both the roles of inventor/designer/tinkerer as well as in customer service and sales. As it happens, I’d been shopping on eBay for an original “bullet planter,” and I found it difficult to snag one without being outbid. At first, the idea was to create some for myself, but with each pass at refining the production method and with each prototype I sold, it became clearer that this was a product worth bringing back, and I was committed to getting it just right. From there, I expanded on the color palette of both the bowls and the stands, and graduated through three different production methods, with the first two involving a lot of hand-finishing. I eventually connected with my current factory, that builds our products using the exact methods used in the 1950’s, and does a wonderful job of bringing the past and its language of design back to life. 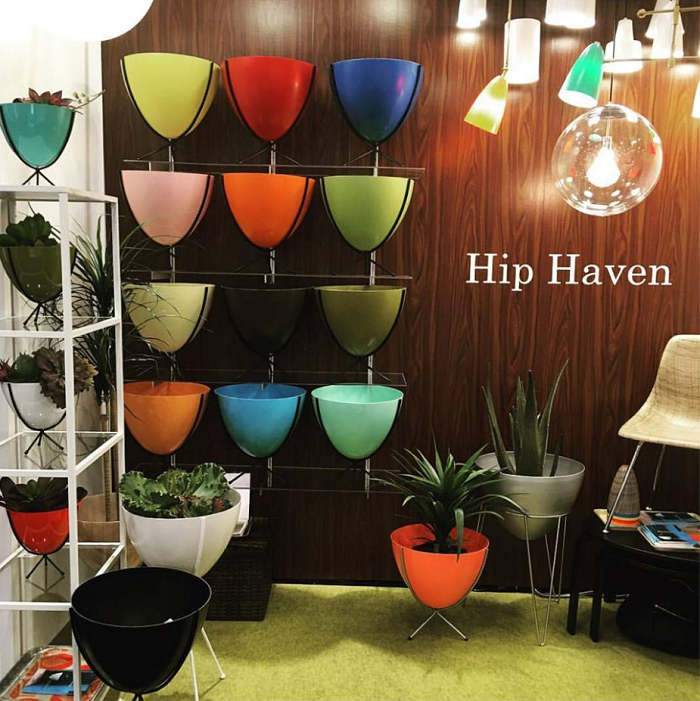 It was my passion for midcentury modern design coupled with a recognition of a demand for vintage-influenced, high-quality, decorative accessories, that led me to found Hip Haven in 2002. Has your original business vision changed through the years? The scope of work for the company has definitely transitioned over our 14 years in existence, but our commitment to quality has not. I’m open to working with styles that depart from midcentury modern, but I will always strive to emulate the production caliber of that era. Our products are solidly built and we don’t cut corners in our choices of materials, finishes or process. Drawing upon mid 20th-century modern style, what elements influence your design aesthetic? I’m drawn to the way that the furniture and functional objects in this style rely on simple, geometric and biomorphic forms, rather than on ornamental details. Midcentury designers applied new techniques and materials, such as bent plywood and molded fiberglass, in order to achieve organic and ergonomic shapes, that exuded both strength and style, but remained affordable for consumers. Designers of that era also respected and employed traditional arts, such as fine woodworking, ceramics, and hand weaving, and often incorporated these elements into their work. Additionally, in the 1950’s and 60s—when the style was just called Modernism—it was considered rebellious and futuristic. I’m drawn to its boldness and fresh perspective. Are all the items offered your custom designs? Our products are reinterpretations of designs from the past. While we take much inspiration from midcentury styles and we strive to emulate the past, we choose to incorporate custom accents in our products that depart from the style, and to experiment with new colors, finishes, modern technologies, and design twists that make our lines more relevant to the present. Could you share some insight into the process of designing a new product? Do you start with an idea sketch or make a prototype? When I begin working on new products, such as lighting, I usually start by creating a Pinterest board of vintage fixtures, palettes, and different materials that inspire me. Then, I’ll sketch something that incorporates and expands on my favorite details, culminating an entirely new design. Next, I’ll source the necessary production method or existing parts to make my new design a reality. This stage sometimes takes months or even years, and I typically go through several prototype drafts before landing on a final design. What inspires your color palette and selection of materials for crafting your pieces? Images of midcentury modern spaces, ceramics, textiles, art, and graphic design are all sources of inspiration for me is a designer. 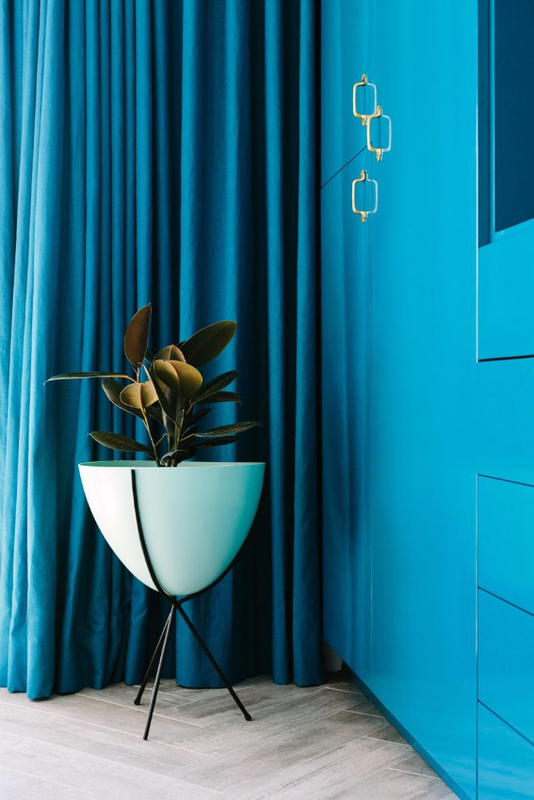 I do check in with contemporary trends to predict demand for color or hardware finishes, but in our running line products, I’ve tried to be faithful to my midcentury modern inspirations, because I think that our audience and customer base appreciates the truth in the style. 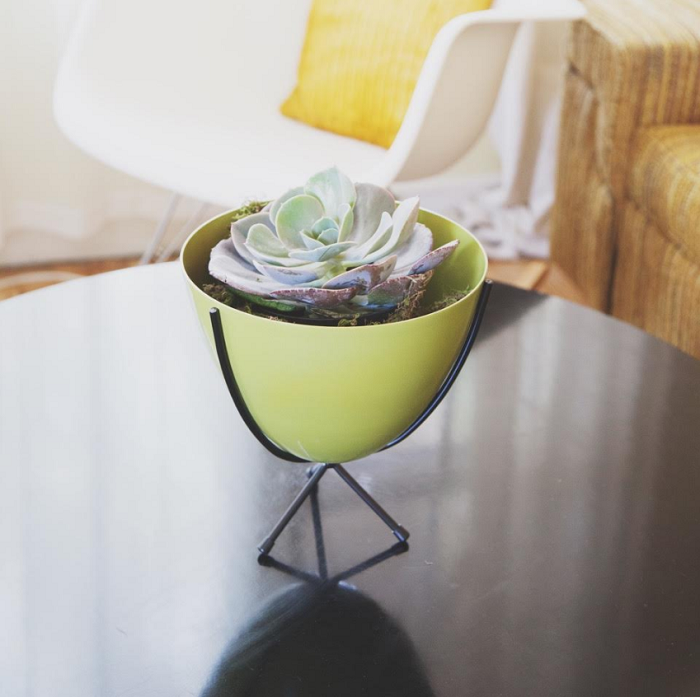 From where does your popular “Retro Bullet Planter” take its design roots and why do you think the style resonates so well with your customers? First made in post-war, 20th century America, “bullet” planters reflected the era’s fascination with all things space age and modern. Situated in a steel tripod stand, they appear almost ready for take-off. Technological advancements in the plastics industry during the 1950’s opened up new avenues for designers, allowing them to build light, durable objects with curves, lines, and integral colors. An especially popular material for designers was fiberglass reinforced plastic. Used early on in crash helmets, this fire-resistant, waterproof material was introduced into the home decor world with objects such as colorful lampshades, the famous Eames shell chair, and— you guessed it—the original “bullet” planter. The original bullet planters were made by numerous factories, with no set size or shape; they just shared the common feature of being a pot in a stand, off the ground. But, for me, the elliptical shape of the bowl stands out and is incredibly pleasing to the eye. I chose different features from all of the past examples I could find to create the Retro Bullet Planter by Hip Haven™. With the elegant curves of the bowl nestled in its tripod stand, it reminds me of a living thing. 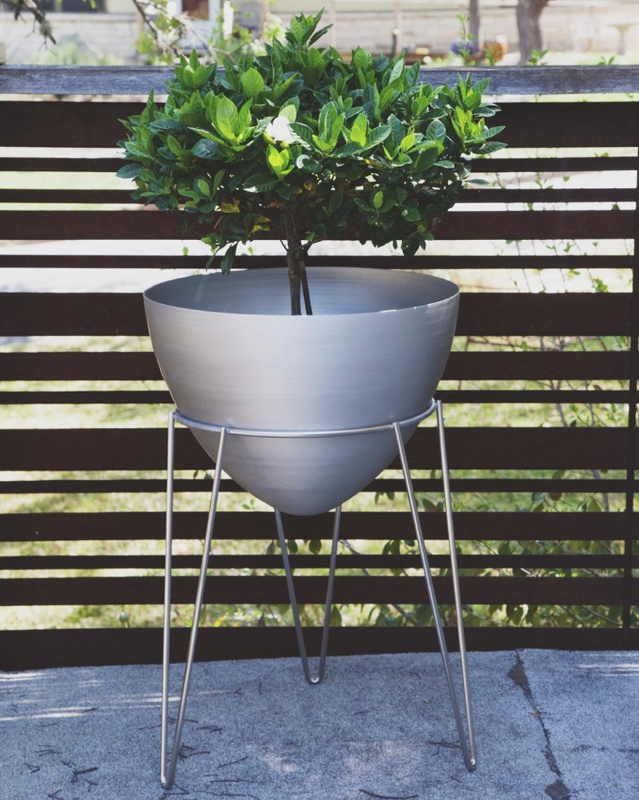 It’s gravity-defying, bringing plants up closer to eye-level, and it offers jolts of color, texture, and contrast, that give the planter characteristics of a living sculpture — all of which resonate with our buyers. You just returned from ICFF, International Contemporary Furniture Fair, in New York City..... Was this your first time attending? Could you share some insight into being a part of the weekend and its impact on showcasing your designs? This was my second time at ICFF as an exhibitor. It was absolutely the highlight of my year in terms of feeling plugged-in to the design world and getting the opportunity to focus on what drives me both creatively and professionally. The show is teeming with creative, hard-working people who really know their stuff, and it is invigorating to be a part of. What is your approach for maintaining fresh yet timeless designs, particularly in today's trendy home furnishings market? I do respond to changing demand for different colors and metal finishes, but for the most part, I stick to designs that could have existed during the midcentury modern era. It is important to me that our products are able to provide the finishing touches that round out midcentury-influenced interiors while at the same time are able to harmonize with other decorative styles. What do you consider the unique style components that sets your designs apart from others? There are so many wonderful designs out there, and at this point, good design has expanded to reach every level of the market. But, what sets us apart in my eyes is that most companies that have achieved the same level of quality as our lines are selling at considerably higher price points. Additionally, our new designs are built on past designs and there is a clear and gradual evolution at work, rather than a brand new look each season. Ao another standout component is our consistency in design theme. 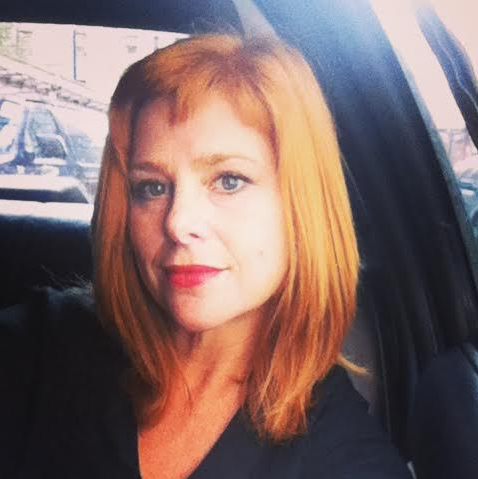 Do you have any happenings on the horizon you would like share? At ICFF, we introduced new finish options to our existing lines and also launched some brand new products! The two new projects that excite me the most are our Retro Bullet Lighting™ line and our new foray into furniture, with the Molded Fiberglass Chair by Hip Haven™. 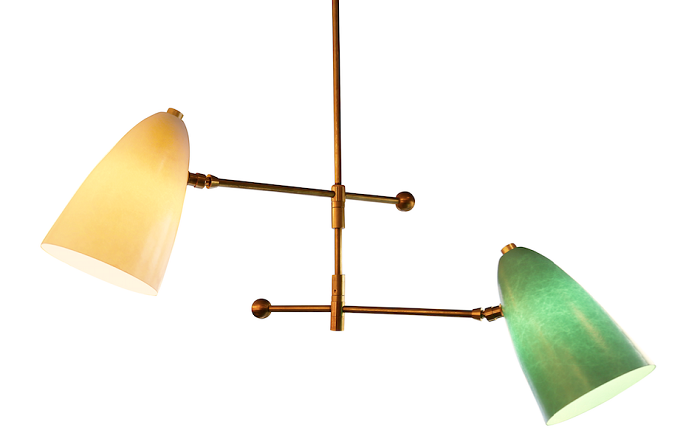 The bullet lighting collection has similar fixture configurations to our existing spun metal lighting line, but has shades are made of the same compression-molded fiberglass as our retro bullet planter line. The material looks spectacular when illuminated, glowing with intense color, and highlighting the unique texture of compression-molded fiberglass. It is also light and durable, and I predict it will be very well received. Our molded fiberglass chairs are another nod to the past, but incorporate a detail that hasn’t been used for decades. We are molding the chairs with inlays of woven rattan or burlap, giving them a standout, unexpected pairing of organic shape and natural material with man-made technology — a style so characteristic of the midcentury modern era.